Goal setting is a key component to a successful business. Companies that set clearly defined goals and execute them have much more success than their competitors. This goal oriented philosophy can be applied to your social marketing efforts. Especially with the growth of social media websites, there is plenty of opportunity for marketing a brand. However, many companies leave plenty of opportunity on the table due to lack of focus. As a marketing professional, you have to set measurable goals in order to track your social media marketing efforts. Below, we will share effective social media marketing goals that allow you to measure growth online. Social media platforms give businesses the overall post reach on the network. This metric shows you how many people saw the post on the social networking site. Of course, if you are trying to increase awareness, you should track the total post reach carefully. When doing so, it is much easier to track which posts are getting the most exposure. Furthermore, you can expert social media tips to ensure that the post reach metrics are trending upwards. This will allow you to measure the overall growth of your social media marketing strategy. Your competitors’ social media profiles are public and available for anyone to see. This is valuable information for a marketer. You can easily benchmark their activity against yours. Moreover, you can see which social media posts seem to get the highest level of exposure. Then, you can learn from their success and set goals to put in more work. If your competitors post 5-10 times per day, your brand could post 10-20 times per day. These types of goals will ensure that you’re working to outperform the competition on any social media networking website. Specifically, you can target platforms where your competitors are lacking to get a jump ahead on upcoming social platforms. A successful social media strategy is highly dependent on quality content. There are many ways that you can measure the quality of content. You can use statistics, word count, research time and other measurements to quantify quality. There are many social media marketing agencies that specialize in creating and promoting quality content. They understand that if you have a strong content strategy, the social media platform can send you much more exposure than you could get with just your own followers. In order to increase your brands online presence, set goals that raise the level of content standards. As you continue to increase awareness, set goals that include brand mentions on specific social networking channels. This is a simple metric to measure. You can track how many brand mentions you are receiving on a daily or weekly basis. Ideally, a good social media marketing campaign will increase the number of brand mentions on a platform. This confirms an increase in direct awareness when unique accounts are talking about your brand. On top of that, you can measure the influence of the accounts or profiles that mention your brand to get a more detailed idea of your increased online presence. 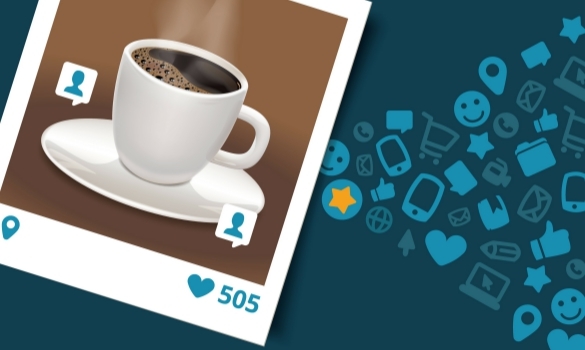 Social media profiles are great sources of referral traffic for brands. Using website analytics, it’s relatively simple to track clicks from social media platforms that go directly to your company website. After all, you should be able to attract more customers if they are already interested in your social media content. Track where all of your social clicks are coming from. This gives you the measurable social data to grow your social media marketing efforts successfully. Direct website clicks are one of the best ways to set your goals and measure them to validate your marketing strategies. Measuring growth online requires having goals that are objective and realistic. Set you social media marketing goals to stay focused on what matters most. Every marketing department has a limited amount of budget and resources. Start out by tracking your overall post reach. This is an easy metric to gauge for your social profile posts. Next, set goals that are more aggressive than your competition. Make sure that you are creating high quality content and raise the bar to make it even better. Aim to receive more brand mentions that prove the company is gaining exposure. Finally, track direct website clicks coming from social media. These social media marketing goals are all measurable and attainable. When analyzed, they can provide accurate insight to carry out a successful social marketing strategy.